Maurizio Arrivabene insists the Ferrari Formula 1 team’s improved Canadian Grand Prix performance is proof its hard work is paying off, despite another defeat. Ferrari has failed to win so far in the 2016 F1 season but has scored a podium in six of the seven races. Vettel made a lightning getaway from third in Canada to lead into Turn 1 but he failed to make a two-stop strategy work and lost out on victory to Lewis Hamilton. Vettel finished five seconds adrift of the Mercedes and Ferrari team principal Arrivabene pointed to that small gap as a reason to think the Scuderia’s efforts are paying dividends – especially after a poor Monaco GP. “I was really up to the sky when I saw the start of Sebastian because it was one of the greatest starts that I’ve ever seen in Formula 1,” he said. “We pushed hard and the work that we started straight after Monaco started to pay off. 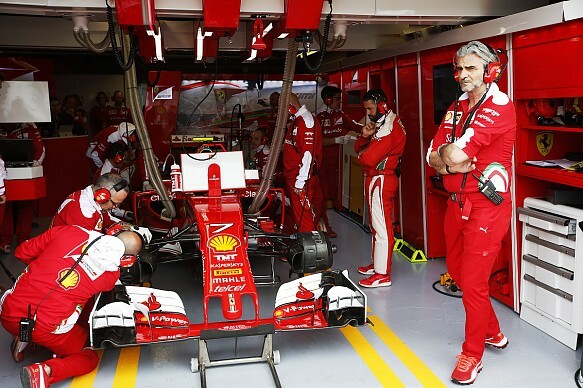 Arrivabene conceded Ferrari, which introduced a turbo update for Canada, still has plenty of work to do to regularly challenge pacesetter Mercedes. “We improved with the car but it’s not enough because Mercedes is in front of us,” he said. “We have to do more and more and more and we need to continue like this and be positive. “We start to understand clearly how to find the right balance with the car and to work with it. The gap that we have from Mercedes is now short, but we need to work more to be able to win.